Posts tagged with "Conde Nast Traveler"
The “Beyond-All Inclusive, Beyond All Compare” Grand Velas Riviera Maya now offers new Insider Microadventures for guests to experience some of the best culture highlights in the destination. Two experiences are now offered, one to Chichén Itzá and the other to Uxmal and the colonial city of Merida, with transportation in private plane included. 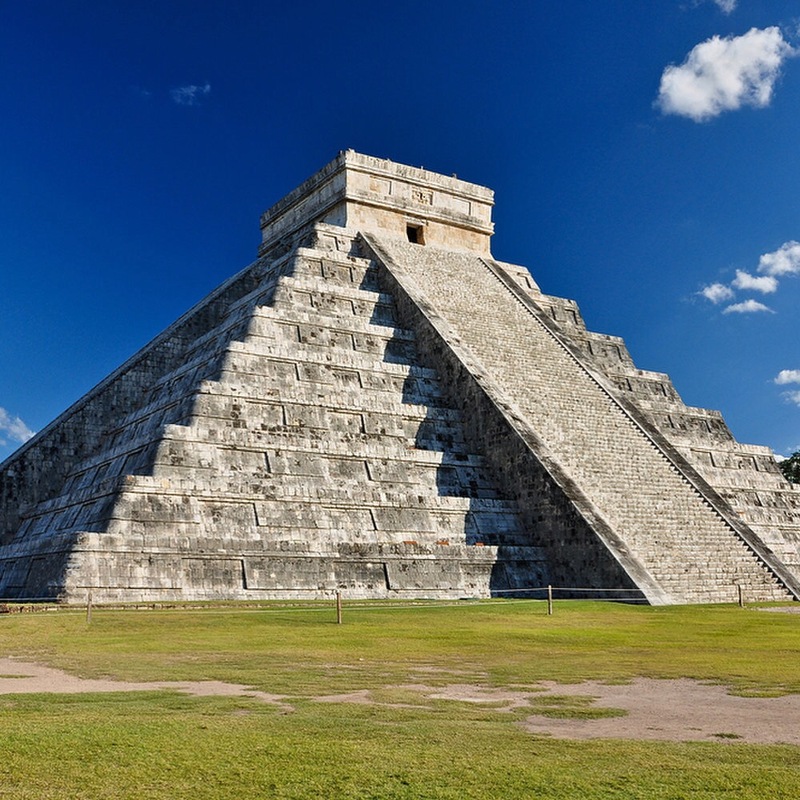 The resort’s micro-adventure to Chichen Itza, undoubtedly the most famous Mayan ruins, features a private tour guide to explore the complex, the largest pre-Columbian city built by the Maya people which was first developed between 750 and 900 AD. Also at the site, guests will be treated to a 3-course lunch menu of regional favorites and swimming in a cenote (a large, natural sink hole). As a second option, guests can explore the ruins of Uxmal and Merida, the largest city on the Yucatan peninsula. Representing the pinnacle of late Mayan art and architecture in its design, layout and ornamentation, Uxmal is one of the most important archaeological sites of Mayan culture. A private guide will show guests around the UNESCO World Heritage Site, including the towering Pyramid of the Magician and the Governor’s Palace, which is over 12,000 sq. ft. in total. After visiting Uxmal, the experience features private transportation to Merida for a lunch and city tour complete with carriage ride down the Paseo de Montejo (Montejo Avenue) for a glimpse at the elaborate homes that still line the main street. Private round trip transportation to both locations is provided in a CESSNA 206 single-engine plane. The three-night Insider Microadventure to Chichen Itza starts at $3,960 USD and the Insider Microadventure for Uxmal & Merida begins at $4,545 USD. Rates are per person based on double occupancy and include luxury suite accommodations, à la carte gourmet meals at a variety of specialty restaurants, premium branded beverages, 24-hour in-suite service, fitness center, taxes, gratuity and more. For more reservations or more information on Grand Velas Riviera Maya, please email reservationsrm@velasresorts.com, call 1-888-407-4869, or visit http://rivieramaya.grandvelas.com/. Set on 206 acres of pristine jungle and mangroves and with the finest white sand beach in the Riviera Maya, the AAA Five Diamond Grand Velas Riviera Maya is an ultra-luxury all-inclusive resort. Guests can choose among three separate ambiances in this Leading Hotel of the World, including adults-only oceanfront, family-friendly ocean view and a Zen-like tropical setting, embraced by the flora and fauna of the Yucatan Peninsula’s jungle. All 539 designer-like suites are exceptionally spacious, more than 1,100 square feet each, all with balconies, and some with private plunge pools. All feature fully stocked mini bars, plasma TVs, Wi-Fi, L’Occitane amenities, artisanal tequila, and Nespresso coffee machines. Bathrooms deserve special mention with walk in glass shower, deep soaking Jacuzzi tubs and marble interior. Eight restaurants, including five gourmet offerings, present a tour through Mexico, Europe and Asia. 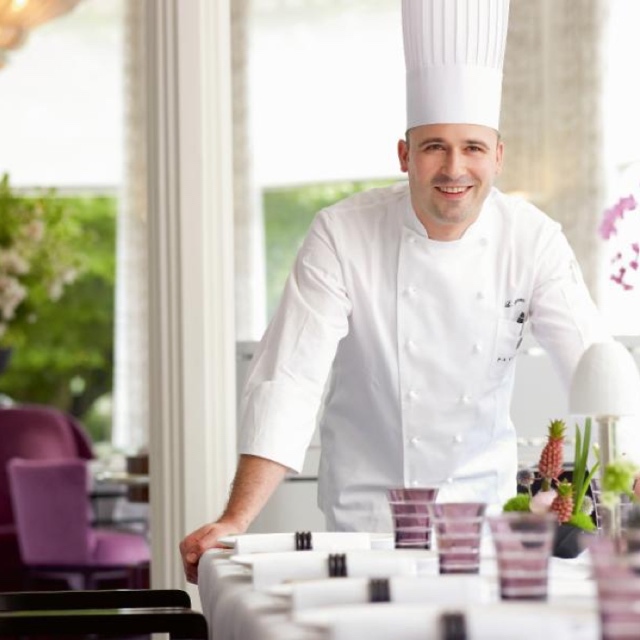 Cocina de Autor, at the hands of world renowned celebrity chefs Bruno Oteiza, Mikel Alonso and Xavier Pérez Stone, holds the AAA Five Diamond Award, the first all-inclusive restaurant in the world to win this prestigious distinction. Se Spa, a Leading Spa of the World, is the region’s largest spa sanctuary at more than 90,000 square feet, known for its authentic Mexican treatments, offerings from around world and signature seven-step water journey. Other features include 24-hour Personal Concierge; 24/7 in-suite service; three swimming pools; two fitness centers; water sports; innovative Kids Clubs and Teen’s Club; Karaoke Bar; Koi Bar; Piano Bar, and business center. The resort offers more than 91,000 square feet of meeting space and outdoor areas for events inclusive of a 31,000-square-foot Convention Center, able to accommodate up to 2,700 guests. The resort has won numerous awards from Travel + Leisure, Conde Nast Traveler, USA Today and several other magazines and major companies worldwide, including World Luxury Spa Awards and TripAdvisor’s Hall of Fame. Grand Velas Riviera Maya was built and is operated by Eduardo Vela Ruiz, founder and President of Velas Resorts, with his brother Juan Vela, Vice President of Velas Resorts. This entry was posted in Travel + Food and tagged 360 Magazine, AAA Five Diamond Award, beyond all compare, beyond all inclusive, Bruno Oteiza, cessna, Chichén Itzá, Conde Nast Traveler, Diana Macaraeg, Eduardo Vela Ruiz, grand velas riviera maya, Mayan, Merida Via, Mexico, microadventure, Mikel Alonso, pre columbian, Private Plane, resort, Travel + Leisure, TripAdvisor’s Hall of Fame, USA today, Uxmal, Vaughn Lowery, World Luxury Spa Awards, Xavier Pérez Stone, Yucatán peninsula on September 27, 2017 by Pitch360. Cabin space is still available for the winter 2017 holiday season on small-ship cruises to such coveted destinations as Antarctica, Baja California, Costa Rica, the Galapagos and Cuba, reports AdventureSmith Explorations, the company that brings cruise guests into intimate contact with seldom-visited shorelines around the world. Travelers who want to maximize opportunities for wildlife encounters on land and sea can still book passage on one of three Antarctica programs inclusive of air transfers across Drake Passage. This segment of a cruise normally consumes several days of at-sea-only travel both coming and going. Popular air cruises fly guests over the often-turbulent Drake Passage, turning a two-day crossing into two hours. Following are air cruise departures with space available as of mid August. For more information and specifics on all the various itineraries offered by AdventureSmith Explorations please see Antarctica cruises. If booked before Aug. 31, 2017, clients receive a 20 percent discount on a mid-December departure Dec. 15-22 of Antarctic Express: Fly the Drake. Also available are Dec. 16-23and Dec. 20-30 departures. This eight-day itinerary is from $9,495 per person double on the 132-passenger Ocean Adventurer or the 108-passenger Island Sky. Antarctica Air Cruise offers three holiday departures still with availability: Dec. 16-23, Dec. 21-28 and Dec. 22-29. This cruise is eight days from $10,995 per person double on the 72-guest Ocean Nova or the 71-guest Hebridean Sky XXI. Polar Circle Air Cruise picks up the holiday slack with its Jan. 1-10, 2018, departure for 10 days from $14,495 per person double aboard the 72-guest Ocean Nova. 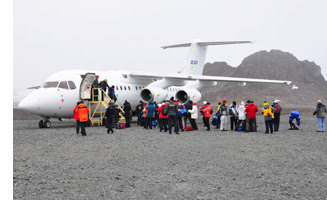 There is still ample space on a non-air cruise, the 11-day Antarctic Explorer expedition, an 11-day journey from $5,995 per person double, exclusive of the air cruise benefit. Four ships carrying from 132 to 199 passengers conduct this cruise. Two very popular, close-to-home small ship cruise destinations as of late summer have good holiday cabin availability to accommodate families and groups. Some programs include special offers. Baja cruises in late December and early January coincide with the beginning of the peak season for viewing gray whales and for snorkeling with sea lions. Westward Voyages in the Sea of Cortez has holiday availability on Dec. 14-22and Dec. 22–Jan. 2 departures. This is a 12-day adventure from $5,250 per person double aboard the eight-guest yacht Westward. Baja’s Bounty accommodates the holidays with departures Dec. 16-23, Dec. 23-30, Dec. 30–Jan. 6 and Jan. 6-13 The Dec. 16 and Jan. 6 programs come with a bonus of $800 off on cabins booked by Sept. 30, 2017. 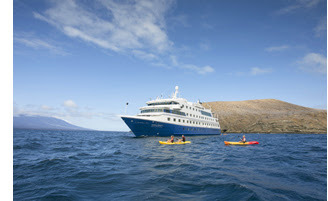 This cruise is over eight days from $2,995 per person double aboard the 84-guest Safari Endeavor. Friendly, tropical and easy-to-access, Costa Rica is a holiday destination primed for families. Small ships provide easy, inclusive access to rain and cloud forests, tropical birds and wildlife, active volcanoes, waterfalls and beaches. Whale watching ramps up this time of year, with the season for humpback whales running January through March. Holiday cruise options include $800 off the cabin rate and free round trip from Miami on some trips if booked by Sept. 30, 2017. Unveiled Wonders: Costa Rica & the Panama Canal holiday departures are Dec. 15-23 ($800 off cabin rate), Dec. 22-30, Dec. 29–Jan. 6 and Jan. 5-13. This is a nine-day program from $4,395 per person double aboard the 62-guest Safari Voyager. Costa Rica & the Panama Canal holiday departures are Dec.16-23, Dec.23-30, Dec. 30–Jan 6 and Jan. 6-13, all with free round-trip airfare from Miami. 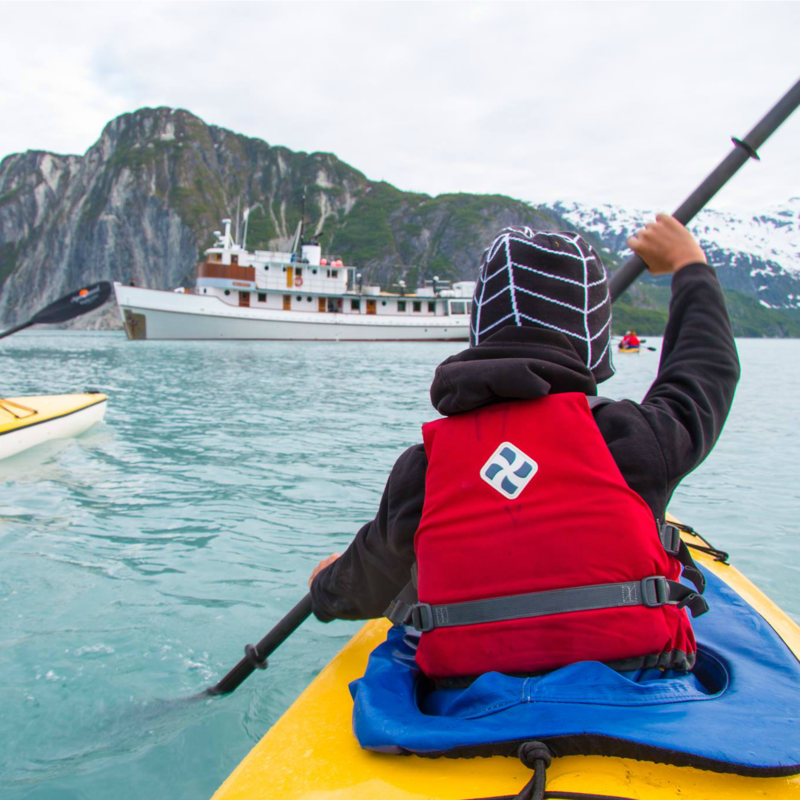 For eight days from $5,990 per person double guests enjoy the hospitality of the brand-new 100-guest National Geographic Quest. Treasures of Costa Rica & the Panama Canal holiday departures are Dec. 30–Jan. 6 and Jan. 6-13 aboard the 34-guest Callisto for eight days from $2,790 per person double. In addition, numerous Costa Rica lodge-based trips have availability. Please see AdventureSmith’s Costa Rica page for more trips. Although the Galapagos Islandsoffer sailings year-round, warmer water temperatures make the region highly sought-after come December for snorkeling and swimming. As AdventureSmith’s most popular holiday destination, it’s the first to sell out. 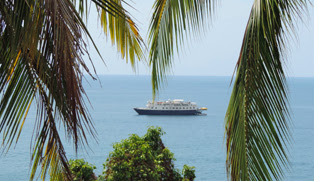 However there’s still availability on the 16-guest Seaman Journey and Sea Star Journey sister ships for four days from $2,529 per person double; on the 90-guest Santa Cruz for five days from $3,388 per person double; on the 40-guest Isabela II for five days from $3,268 and on the 48-guest La Pinta for five days from $4,136 per person double. The Cuba by Land & Sea Cruise aboard the 46-guest mega yacht Harmony V comes with the expert team at Lindblad-National Geographic. The 11-day trip is from $9,500 per person double. Active vacationers might also want to consider a Peru trekking adventure that pairs day hikes with nights in remote lodges. 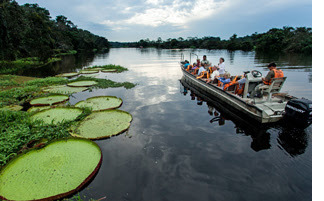 Amazon cruises are also a warm-weather option for winter travel. While they sail year-round, December and January departures come with high water season, which typically runs from November through May. During this time rivers, creeks and lakes are more navigable, as the waters are some 23 feet higher. This brings passengers closer to the canopy and wildlife. For information on all of AdventureSmith’s small ship cruises, itineraries, availability and for 2017-2018 reservations, please call 900-728-2875 toll-free or visit http://www.adventuresmithexplorations.com/. About AdventureSmith Explorations – Think Outside the Boat! Founded in 2003, AdventureSmith Explorations is based in Tahoe City, CA, along the northern shore of Lake Tahoe. A recognized leader in small ship cruising, in 2012 owner Todd Smith joined the ranks of Conde Nast Traveler‘s prestigious World’s Top Travel Specialists List as the leading expert on small ship expeditions. This entry was posted in Travel + Food and tagged 2017-2018 Holidays, 360 Magazine, AdventureSmith Explorations, Antartic Explorer, Antartic Express, Antartica, Antartica Air cruise, Baja California, Baja's Bounty, Conde Nast Traveler, Costa Rica, Cruise Cabins, Cruises, Cuba, Galapagos, Kirk Acnam, Panama Canal, Polar circle air cruise, Sea of cortez, Tahoe City, Todd Smith, travel, Vaughn Lowery, Winter Holiday on August 21, 2017 by wp360mag.